Dallas firefighters said someone intentionally started a two-alarm fire at an LGBT resource center in South Dallas Friday morning. Firefighters said they responded to a call about the fire at the center in the 1800 block of Peabody Avenue at about 6 a.m. They extinguished the fire within an hour. 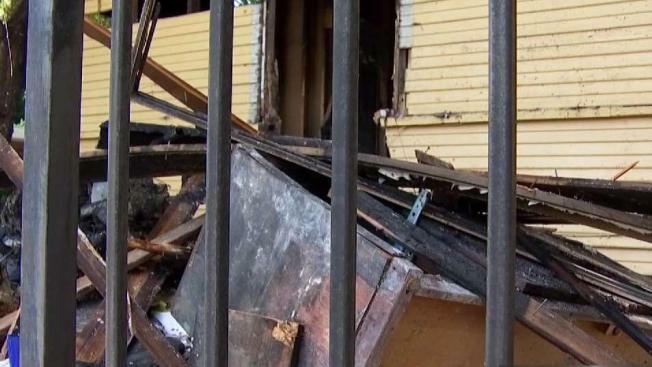 Dallas Fire-Rescue spokesman Jason Evans said investigators determined the fire to be arson-related. “The fire was determined to be incendiary in nature, and was set at some point at the rear of the building,” he said. The facility is operated by Abounding Prosperity, Inc. Representatives for the organization said the facility is heavily damaged, and that will affect the services that they can offer to people in the community. Services included HIV testing and resources. Dallas Fire-Rescue investigators asked anyone with information about the incident to call them at 214-670-4312.